What’s this? It’s Apple Gack! Apple Gack? You know, just another colonial culinary tradition tossed aside and forgotten for no good reason. Old time New Englanders called it apple molasses, apple cider jelly, or apple cider syrup. But Apple Gack isn’t just a quaint novelty – it can be an affordable culinary workhorse like honey and maple syrup. It’s a great solution when you want a more natural and affordable sweetener. And, even sweeter, it’s one you can create easily in your own kitchen without stinging bees and maple sugaring. Fortunately, the Slow Foods Ark of Taste has the good sense to included Boiled Cider & Cider Jelly on their list of endangered foods worth preserving. To learn more, visit their site for a brief and entertaining history and links to the few commercial producers still selling this bit of culinary history. The reason I’m more than a little excited about apple molasses is that in my quest to use ingredients from my own farm, one of the biggest stumbling blocks is sweeteners. They are either from exotic ingredients, unsustainable farming or corporate sources or require unattainable home kitchen procedures. But guess what I have plenty of here in Western Pennsylvania? Apples! All shapes & sizes! And guess what I’m completely capable of doing all by myself with equipment already in my kitchen? Boiling and spooning into jars. This is so simple, I can’t even truly call it a recipe. It’s somewhat adjustable depending on your personal preference and how you will actually end up using your molasses. I want to bake with it, so I wanted mine thick, like molasses. If you prefer, you can leave it thinner and use it as a syrup, a concentrate for apple-y sparkling sodas and a secret weapon to boost your apple pies into legendary status. The goal is to reduce your cider to 1/7 to 1/10 its original volume, depending on whether you want a liquid syrup or a more molasses-like consistency like mine. While I would have loved to have made this from apples harvested from my own trees, if you recall, this year, there were none. And even if there were, my chance to beat my four-legged apple trolls is slim at best. So, I turned to my neighbors at Apple Castle for some of their yummy cider. I have a fairly large stainless stock pot, so I went for two gallons. If your pot isn’t so large, I’d recommend sticking with one gallon, at least the first time. The gack does have a way of foaming up and doubling in size, and boiling over would make a pretty nasty mess. I took it slow, bringing my cider to a simmer and allowing it to boil for several hours. The more you try to do at once, the longer the process takes. It doesn’t require much supervision, but you should be around to give it a stir and a skim regularly, and the end requires your full attention. Your apple molasses will develop a deep caramelized flavor and beautiful, rich amber color. Mine took several hours, and from two gallons of cider yielded a quart of syrup. I can’t wait to use it to sweeten a big pot of beans this weekend, I’ve enjoyed it as sweetener in my tea, and I’m baking cookies with it later today. Use it as you’d use honey, molasses or maple syrup. Package it up into holiday jars or bottles, and wa-la! A useful, unique handmade holiday gift money can’t easily buy. What would you make with apple molasses? I love your labels! Would definitely spoon this over pancakes – blue corn ones! Thanks Tammy. I’d love to have some of those blue corn pancakes – trade, lol? Sounds great, any ideas on how long it will keep? Refrigerated or non? Can/should you process it for longer term storage? Hi PPF, thanks for the visit, I appreciate it. Wow – what a neat commodity, and thanks for the wonderful economical history lesson as well! I’d never heard of this before but it sounds amazing and just the thing to do in the days between Christmas and New Year when there’s time for slow cooking. I found you through spain in iowa. i want to make this!!!! I’m excited for the upcoming year so I can use this page — it’s now a bookmark. Can you use apple juice instead of cider? I went foraging and picked lots of apples – unfortunately they are pretty sour, so I think I’ll end up with fairly acidic molasses. I still think I can use it in cooking though – anything that requires both lemon juice and a sweetener. Any other suggestions? I haven’t tried apple juice, I’m sure it would work, but not sure it would have the richness in flavor. Any grocery store juice would be much more processed than local cider which makes me avoid it. I’m with Nadja – I made some on-the-syrup-side apple molasses yesterday from 1 + 3/4 gals. of local, unpasteurized cider left over from a dinner party. 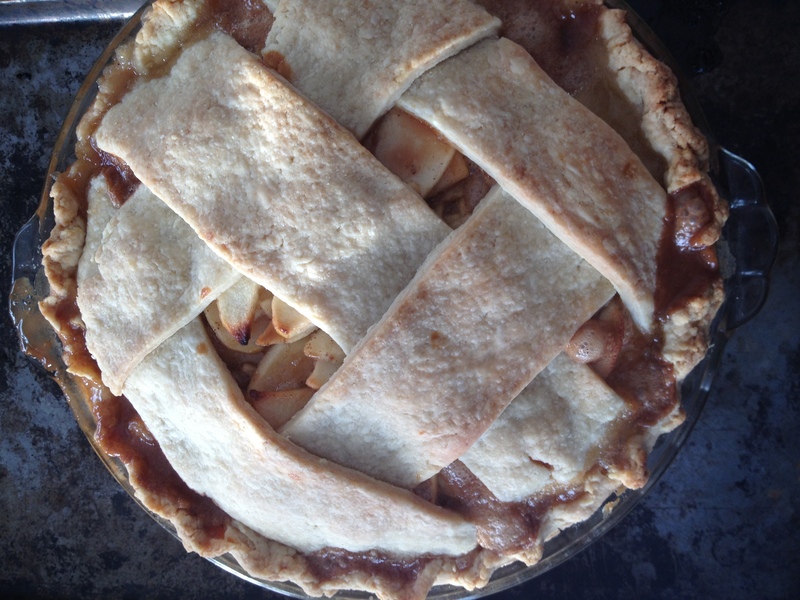 Since the cider was $8/gallon, I’d rather try foraging apples and making this from juice. Otherwise, it’s kind of pricey for me. Cider’s not nearly so expensive here. I did use pasteurized and my orchard is not organic. Value is a subjective and regional issue for sure. Ive gotten so much use from this and compared to the other products I would have used instead like honey or maple syrup I felt it was a thrifty ingredient. Oh, I get preferring apples processed thru the cows!